Easy Card Making Kits for Everyday Occasions! We're adding to our selection of easy Card Making Kits with a variety of card kits for everyday greetings and special occasions. 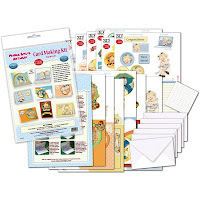 They're complete card making kits with everything you need to make creative card designs for family and friends. Easy for beginners & fun for experienced paper crafters too. You'll find them in the Card Making Kits section of the store! 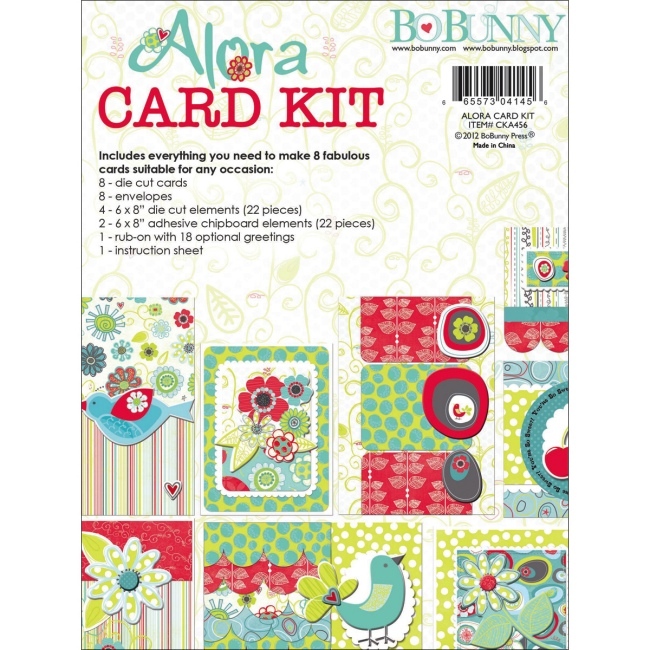 The Alora Card Kit is an everyday card making kit from Bo Bunny. Kit includes die-cut cards, envelopes, assorted die-cut elements, adhesive chipboard elements, rub-on sheet, and card making instructions. Cards can be customized for a variety of special occasions & events by using the rub-on sheet with 18 optional greetings. Enough materials to make 8 beautiful handmade cards for everyday occasions! 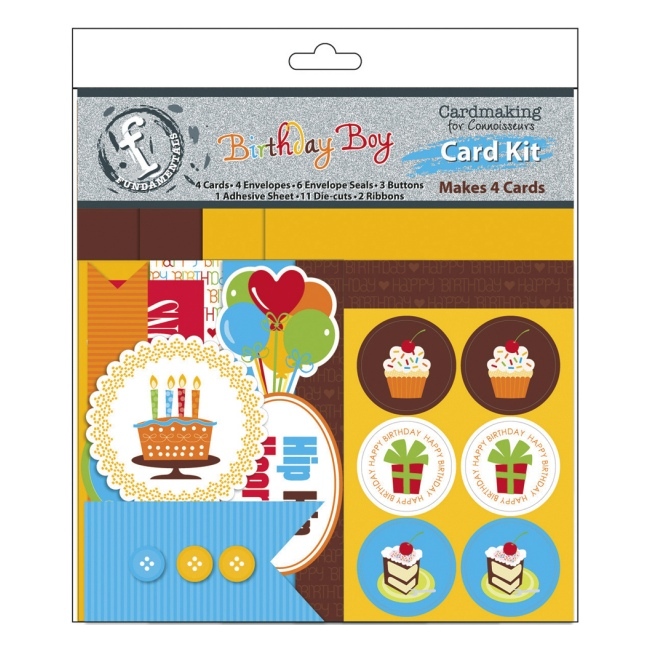 The Birthday Boy Card Kit is a birthday card making kit from Ruby Rock-It. 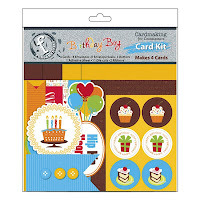 This is a fun card kit for kids to make handmade birthday cards for friends. Kit includes coordinated cards, envelopes, envelope seals, buttons, die-cuts, and ribbons. 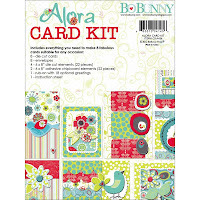 Assemble cards according to pre-designed layout samples or create your own card designs. Makes 4 unique birthday cards for kids. The Pop Up Card Making Kit from Flower Soft features nostalgic childhood images by artist Mabel Lucie Attwell. Learn how to make 3D pop up cards with this complete kit that includes everything you need! Kit includes 6 envelopes, 6 outer card & 3D designs, 6 pop up insert designs, 3D foam adhesive pads and full color instructions. Customize with plenty of optional sentiments, including thank you, happy birthday, thinking of you, and more. Card making is an easy paper craft for beginners just getting started. You only need scissors and glue to start making you own handmade greeting cards at home. 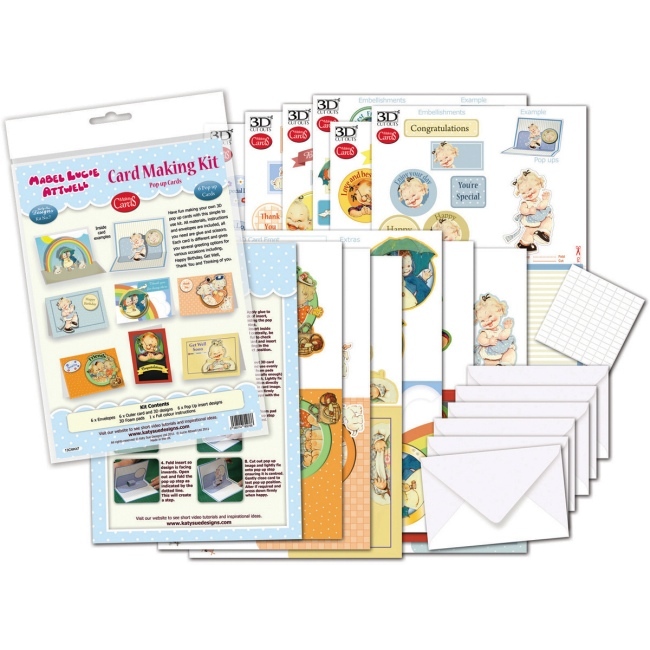 Visit the Card Making Kits section for details on these kits and to see our growing selection of greeting card kits for everyday occasions. Weekend Kits offers a unique collection of Creative Art & Craft Kits for adults, teens & kids. Stop by today and be ready to make handmade greeting cards on your next Weekend at Home. DIY Sewing Kits - Sew a Designer Fabric Handbag! 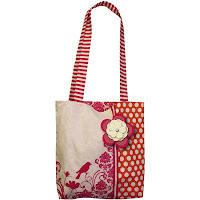 Here's a new collection of DIY Sewing Kits that make it easy & fun to sew your own handbag using designer fabrics. They're from the My Mind's Eye collection of See Me Sew fabric panel sewing kits. 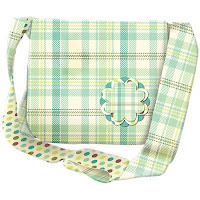 These ready to sew kits are a convenient option for busy crafters. Choose from 3 styles of handbags, including a messenger bag, ruffle bag, and tote bag. Each style offers a choice of colors too. You'll find them in the Sewing Project Kits section of the store! See Me Sew Kits from My Mind's Eye include a 100% cotton fabric panel, embellishments, and step-by-step sewing instructions. Designer fabric pattern pieces are preprinted on the fabric panel. Pattern labels are included on the panel to help you keep all of your fabric pieces organized as you sew. You'll cut the pattern pieces from the panel and sew them together following the complete instructions printed on the inside of the box. The My Mind's Eye website provides helpful Sewing Kit videos, showing each step of the sewing process for all 3 handbag styles. 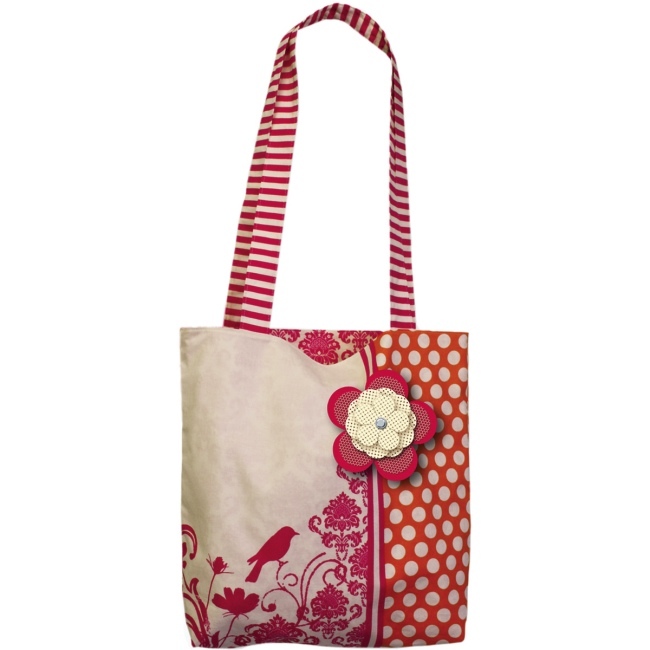 You'll need a sewing machine & basic sewing supplies to complete your handbag sewing project. 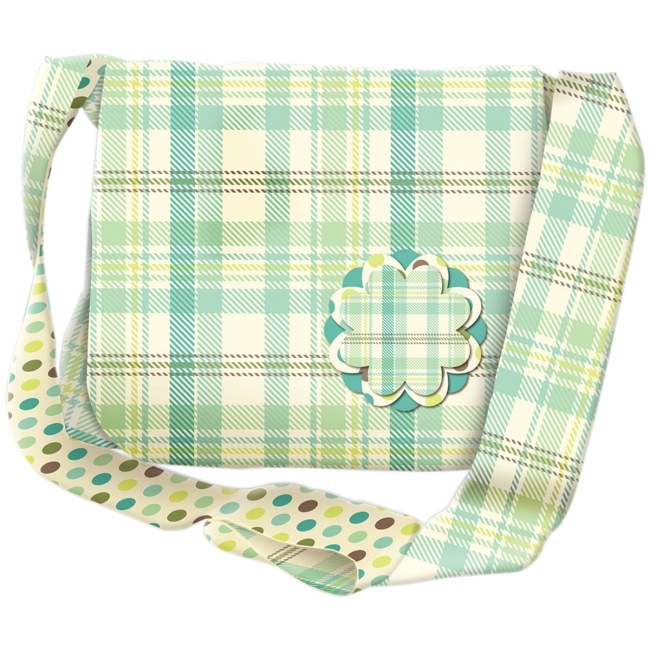 Fabric panel kits are a fun weekend sewing project for experienced crafters to make a quick & easy handbag using designer fabrics. Simple pattern shapes and basic sewing construction make these creative ready to sew kits a great option for beginners too. Visit the Sewing Project Kits section of the store for details and to see our complete selection of these fun & fabulous handbag sewing kits! Weekend Kits offers a unique selection of Creative Art & Craft Kits across a variety of crafting categories, including sewing, quilting, embroidery, and more. 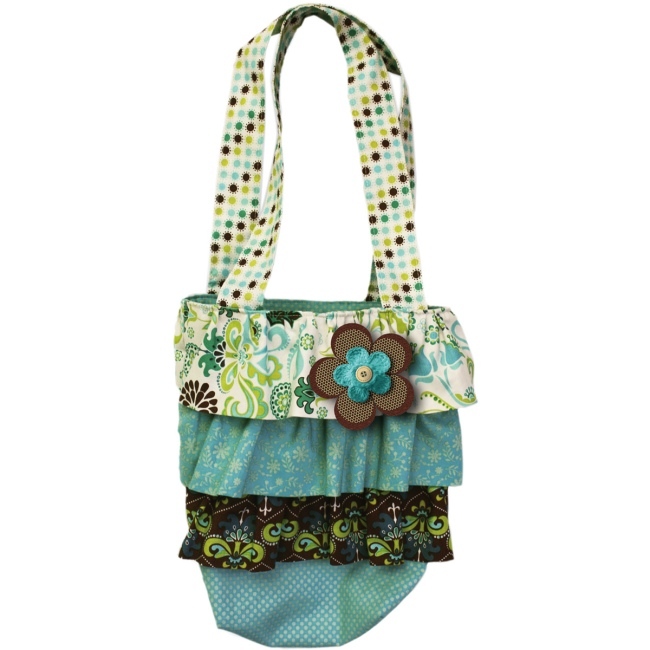 Stop by today and be ready to sew a stylish designer handbag on your next Weekend at Home. Thanks for visiting! Earring Kits - Bead Stitching for Beginners! You won't want to miss our newest selection of beaded jewelry making kits from BeadSphere. They're complete Earring Kits with everything you need to make a pair of beautiful beaded earrings. You'll find them in the Jewelry Making Kits section of the store! 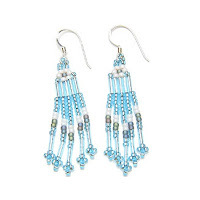 The Light Blue - Small Brick Stitch Earring Kit includes Miyuki beads, sterling silver ear wires, NYMO beading thread, beading needles, and step-by-step instructions. BeadSphere earring making kits include detailed written guidance and easy-to-follow color diagrams for each step in the process. Each kit includes enough presorted beads & findings to complete one pair of 2-1/2 inch long earrings. The Soft Pink - Small Brick Stitch Earring Kit is an easy jewelry kit for beginners. Perfect for learning basic bead stitching techniques. Handmade earrings are a creative gift giving idea for birthdays and holidays. 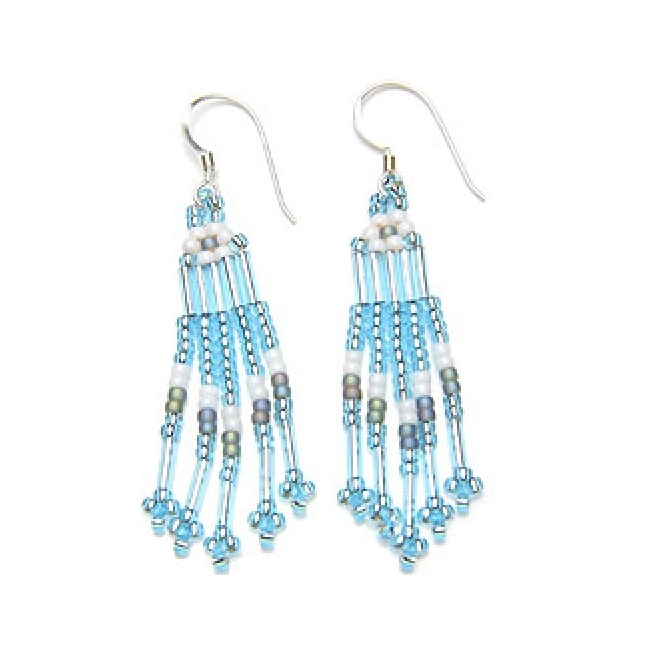 Surprise friends & family with beaded earrings made by you! These easy earring kits are a fun jewelry making project to do with a group of friends. An ideal jewelry craft idea for adults & older teens. Visit the Jewelry Making Kits section for details on these kits and to see our complete selection of jewelry kits for beginners, including kits for making necklaces, bracelets, and earrings! Weekend Kits offers a unique collection of Creative Art & Craft Kits for adults, teens, and kids. Stop by today and be ready to make beautiful beaded earrings on your next Weekend at Home.